Use our home renovation cost calculator to estimate the initial cost of your renovation project. We know that choosing the best bathroom remodeling contractors can be difficult and confusing process. At Horace Trumbauer, we can provide the best bathroom design and remodeling experience you can envision. We use top quality materials and supplies to deliver your new dream bathroom in a timely, practical way. Our bathroom remodeling experts, will provide superior project coordination for your home remodeling project. Remodeling your bathroom is not an easy task because there are such a large number of choices that go into a bathroom remodel design, eg. fixtures, countertops, cabinetry, lighting etc. If you choose Horace Trumbauer as your bathroom remodeling contractor, we will do our very best to meet your specific bathroom remodeling needs. When we meet with you, we will listen carefully to your expectations and locate just the right style for your remodeling budget. 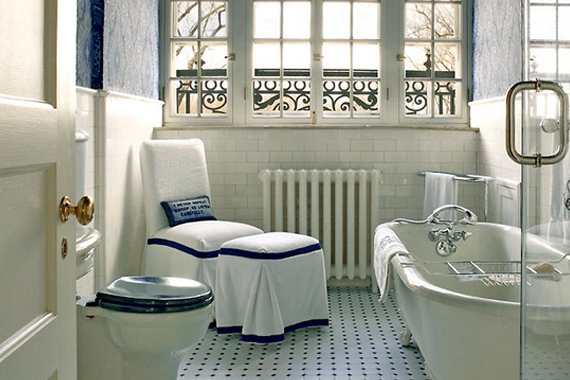 Allow us to invigorate your inner designer so we can work together to create the new bathroom you have always wanted. Remodeling a bathroom involves a variety of skills sets, including plumbing, rough and finish carpentry etc. One of the top remodeling companies in the Pittsburgh area, Horace Trumbauer strives to make things easy and hassle free for our customers. We accomplish this by providing an excellent construction team supported by dependable suppliers who deliver materials to the site on time. At Horace Trumbauer, we are known for our bathroom remodeling expertise in Pittsburgh. We provide you with free estimates and a straightforward approach to give you the best bathroom remodeling services around. Once we have listened to and learned about how you envision your remodeled bathroom, we then create an exciting design that fits both your style and your budget. Flexibility is yet another asset Horace Trumbauer brings to the table. For example, during the remodeling process, you decide that you want to add features or upgrade specifications in your design plan for your new bathroom design. We will work with you to incorporate a written change order process detailing any changes with fair, updated pricing before any changes are made. You will always be in control of the project. At Horace Trumbauer, we take on the responsibility of giving you the best design to meet your expectations. Our bathroom remodelers will create the best possible plan to suit your taste and lifestyle regardless of your location in and around the Greater Pittsburgh area including Wexford, White Hall, Fox Chapel, Sewickley and Mt. Lebanon. Bathroom remodeling projects do not need to be complex endeavors. Hiring a quality, knowledgeable contractor is a crucial first step for of a successful bathroom remodel. But, just as important is determining how to control your bathroom renovation cost. Contact us and let us turn your imaginations to reality. Get your Free Bathroom Remodeling Quote Today! Want to get a rough bathroom remodeling cost estimate? Horace Trumbauer bathroom remodeling service is located conveniently in Pittsburgh. Our job isn’t complete unless we deliver an outstanding outcome and by preventing unnecessary expenses. Let us prove it to you. Contact us today! Contact Us today for your next bathroom remodeling job. With over 100 years experience and a real focus on customer satisfaction, you can rely on us for your next project. We provide a professional renovation and installation services with a real focus on customer satisfaction.